Task Factory is now available in the cloud through Azure Data Factory! Task Factory now available in the cloud through Azure Data Factory! 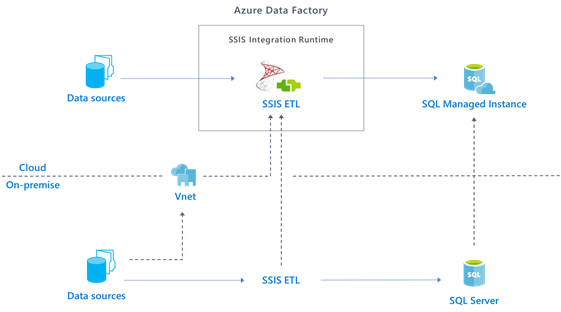 With Azure Data Factory V2, you have the ability to run SSIS packages in the cloud, leveraging your existing data processes. USPS Address Verification is not supported for the ADF Edition. Dimension Merge SCD is not yet supported for the ADF Edition. TF Excel Power Refresh Task– Unless you install Excel on the ADF IR, this will not work. You can install Excel via the installation script explained below and, in the link above. There isn’t a trial version of TF to run on ADF SSIS IR, due to restrictions in the platform. However, you can try out Task Factory on your local computer by downloading and running the packages in Visual Studio.